A reminder of a bygone age in which the dreams of men soared to new heights. Located a short stroll from Titanic Belfast, the Thompson Dry Dock and Pump House is another tangible link to the legend of RMS Titanic. The engineering achievement of the Edwardian age is almost perfectly preserved inside the pump house. Visitors have the opportunity to descend the 44 feet to the bottom of the dock where Titanic last sat on dry ground and experience the scale of the world’s most famous ship. 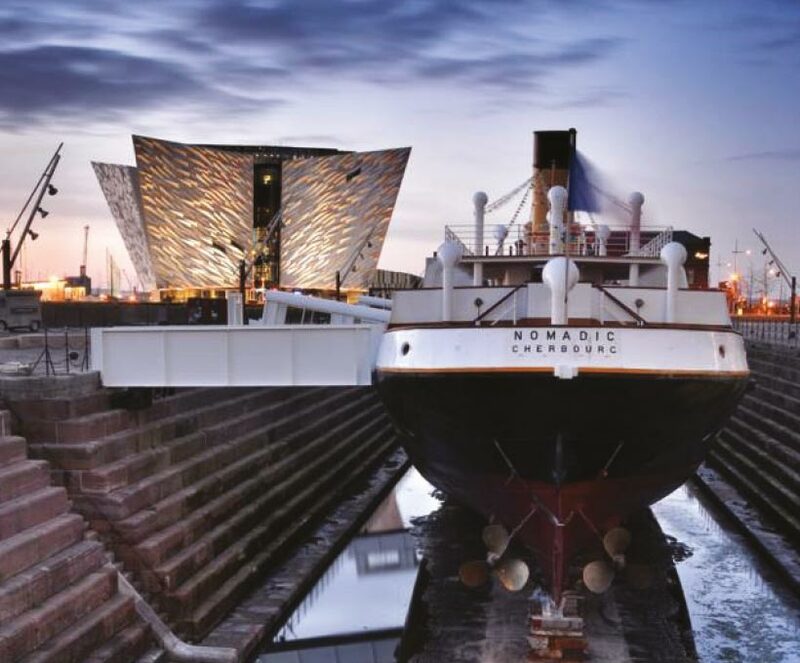 Visit the world’s largest Titanic visitor experience – a ‘must do’ attraction in Belfast. 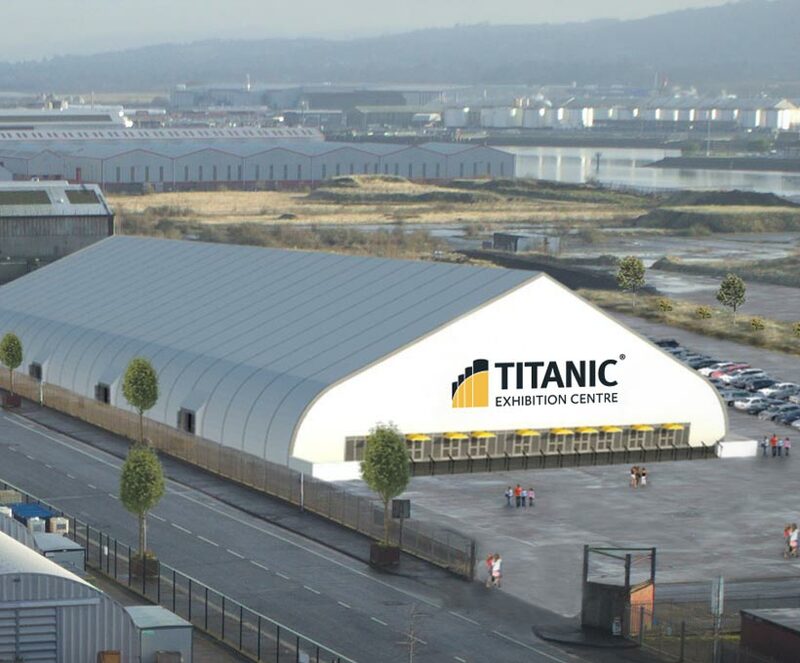 Located in the heart of Belfast, this world-leading visitor experience features nine interpretive and interactive galleries – the Titanic Experience that explore the sights, sounds, smells and stories of RMS Titanic, as well as the city and people which made her. Explore the shipyard, walk the decks, travel to the depths of the ocean and uncover the true legend of Titanic, in the city where it all began. Discover the legacy of RMS Titanic through this one hour guided walking tour. Taking a step back in history, the Discovery Tour invites guests to walk in the footsteps of the people who designed and built RMS Titanic. Learn about the historic Drawing Offices, as well as the original slipways where she was built. 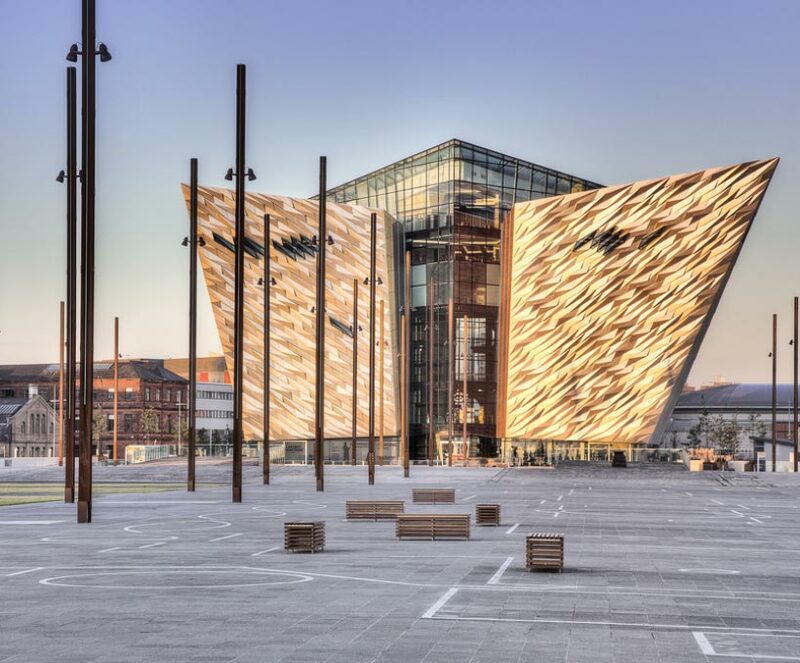 Visitors then arrive in the present day, and are guided through the iconic Titanic Belfast building, learning of the thinking behind its concept and the fascinating symbolism within its architectural features. Experience the world’s last remaining White Star vessel! Walk the decks, explore the ship and take a journey through over 100 years of authentic maritime and social history. Restored to her former glory, SS Nomadic will transport you back in time. get a unique insight into the fascinating life of RMS Titanic’s original tender ship, to her days in service in two world wars and her later life as an entertainment venue in Paris.